When you adopt your dog, you just wonder whether your dog is feeling sad? Or happy? Or frustrated? It seems that Tomy Co has thought up of a new version of its device called “Bowlingual Voice”. 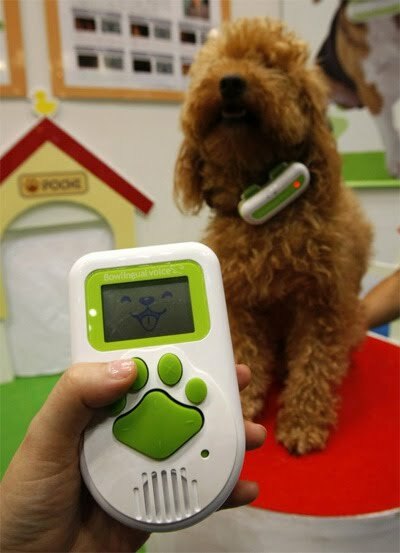 TOMY Co has launched a new version of its “Bowlingual voice” device, which the company says “translates” dog emotions. The wireless microphone device, which fits on a dog’s collar, transmits the animal’s sound to a handheld console which analyzes and “translates” into six emotional categories. The device then emits a common phrase matching the dog’s emotional state, both in words and voices. Nikki just wake up from his sleep...Cute!